The Animal and Plant Health Inspection Services (APHIS) a USDA division has added 2,4-D tolerant cotton to the list of unregulated GE crops. Scientists and organizations have protested the development of 2,4-D and its use in crops and pesticides. The genetically modified cotton joins the current list of unregulated GE crops which includes 2,4-D resistant corn and soybeans and is one of the unlabelled GE products on the market. Dow’s GE cotton, part of the Enlist Weed Control System, is resistant to 2,4-D choline, glufosinate, and glyphosate. 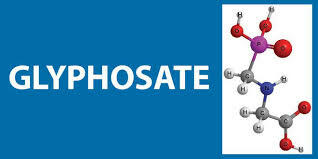 Glyphosate has been classified as a human carcinogen and is a phosphanoglycine herbicide that inhibits an enzyme essential to plant growth. The application of glyphosate has been associated with increased weed resistance and the increased application of herbicides/pesticides. Environmental organizations and scientists had petitioned the U.S. congress not to approve the new 2,4-D tolerant combination in any capacity, citing environmental and public health concerns. The following excerpts are briefings made to the U.S. congress by prominent scientific and medical experts. ← Precursor of the amyloid beta (Aß) peptide acts at the earliest stage of Alzheimer’s to initiate a range of abnormalities leading Alzheimer’s disease.